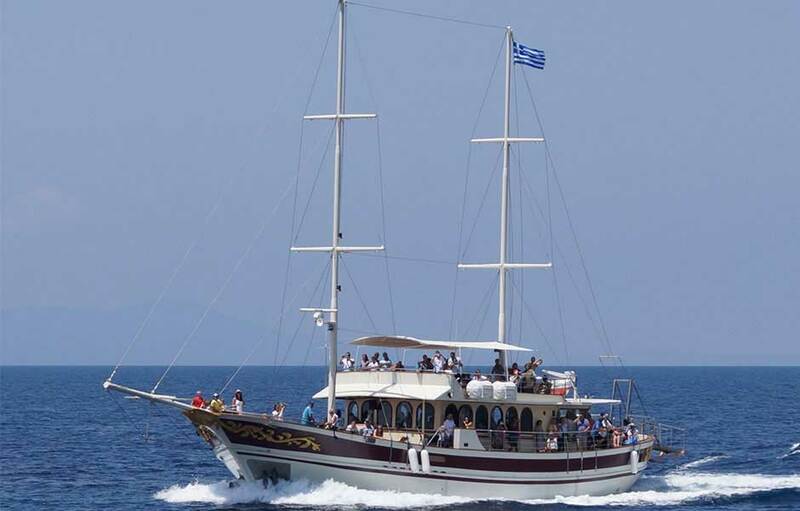 Women and children have the opportunity to make the circumnavigation of Mount Athos and see from a distance some of the monasteries. 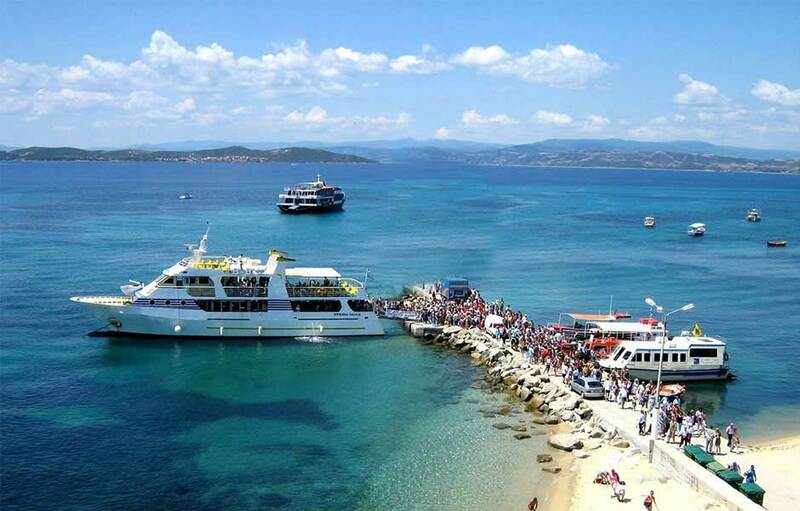 The cruise takes place everyday at 10:00 am and at 13:00 from the port of Ouranoupoli and lasts 3 hours. 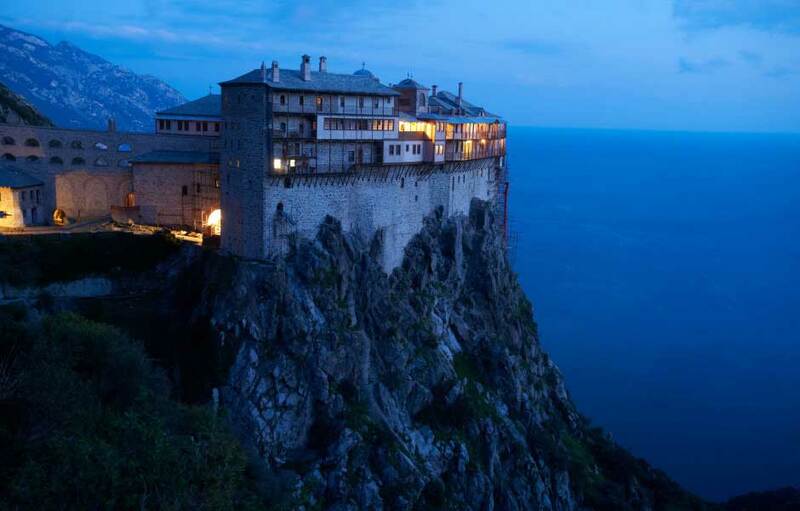 Mount Athos or else the garden of Virgin Mary is an UNESCO World Cultural monument. It is the oldest monastic community worldwide and the pillar of orthodoxy everywhere. 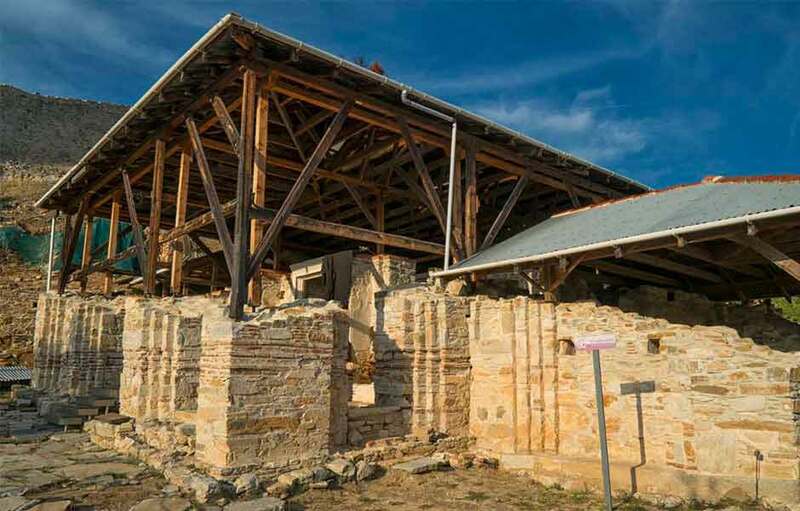 Byzantine icons, religious relics, manuscripts and a rare library compose the portrait of this unique monastic community. 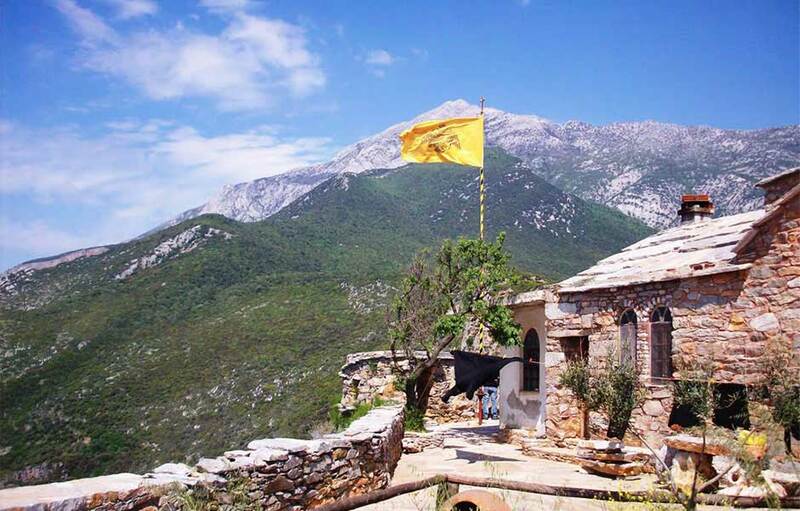 Or else Fragokastro, 2 km from the village of Ouranoupolis is the natural and artificial boundary between mundane life and Mount Athos. 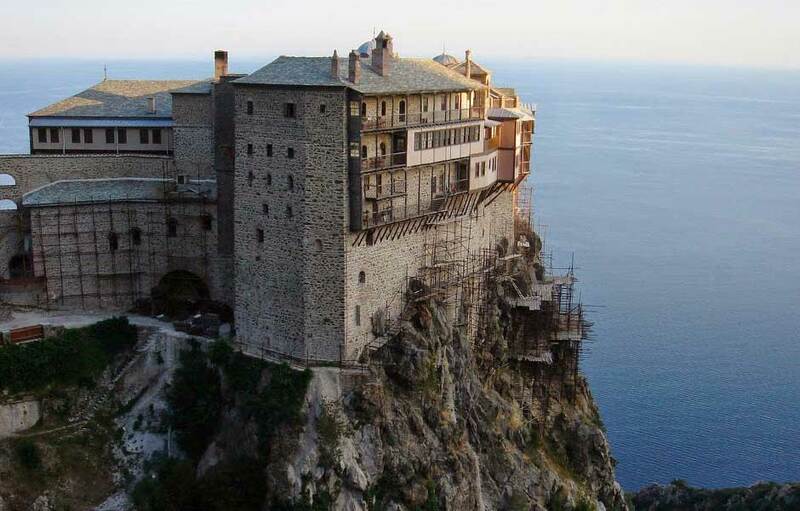 This is one of the oldest monasteries of Mount Athos as dating to the mid 10th century AD. Today only ruins as the archaeological research is underway. The walk to the monastery is an immpecable experience. 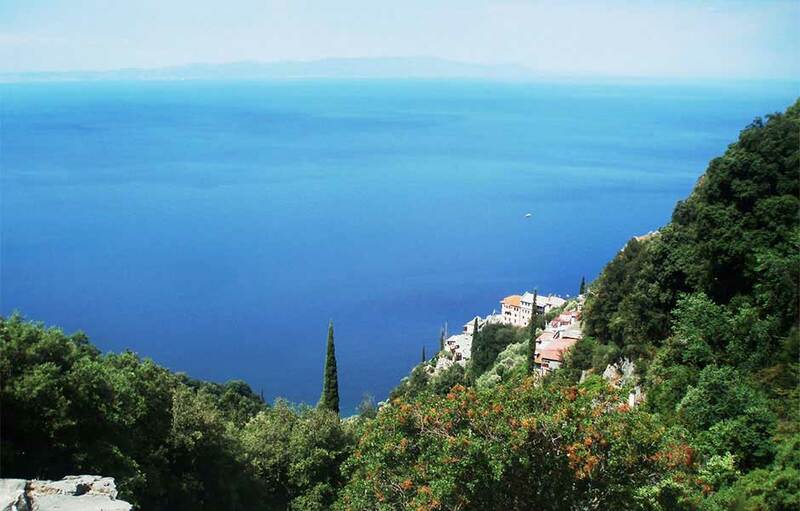 The tiny island of Ammouliani is an opportunity to meet the beautiful nature of the peninsula of Athos. 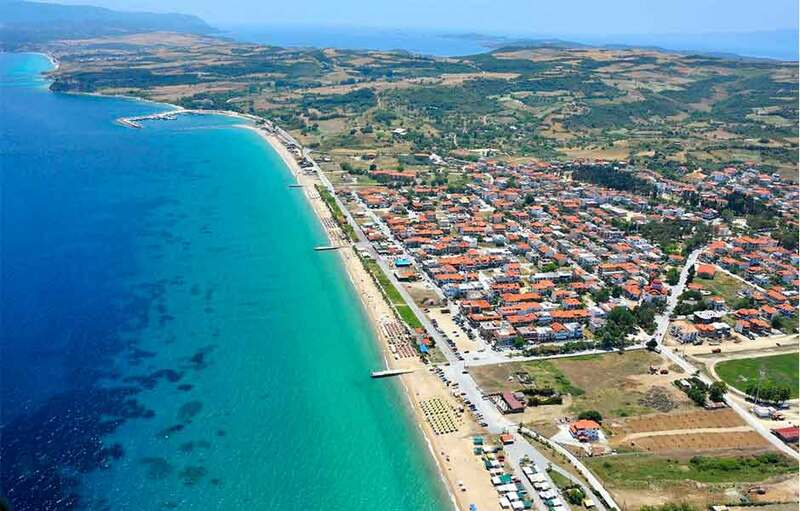 Small valleys, hills, olive groves and dense vegetation along with pristine beaches and crystal clear waters. 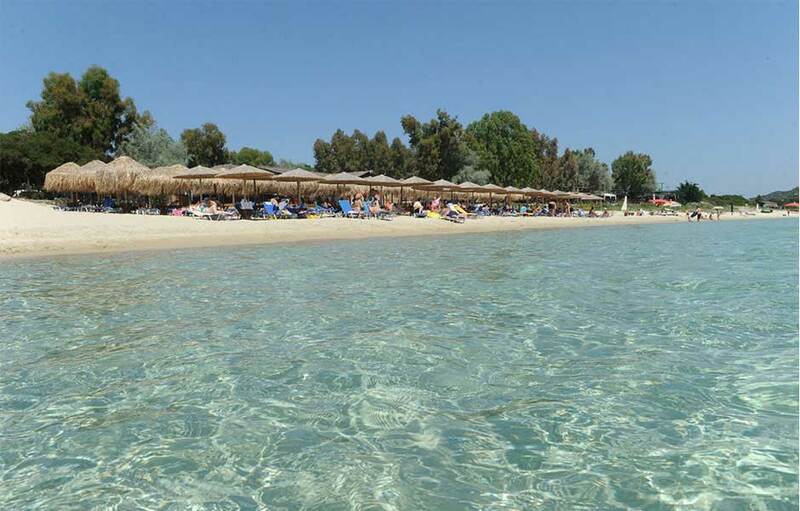 Famous beach Alikes, Great sand beach of Agios Georgios. 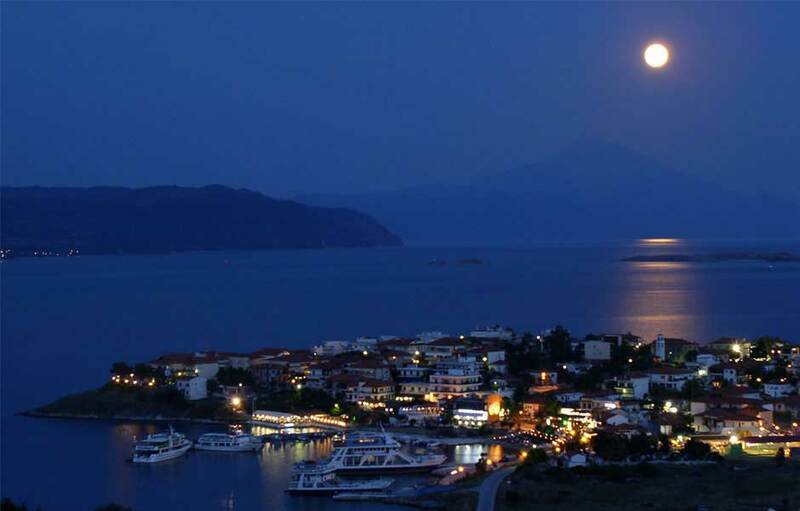 Just 16 km from the picturesque village of Ouranoupolis, the town of Ierissos is known for the shipyards which are centuries the main occupation of the local residents. The center has room three-dimensional projection and video hosting exhibitions and conferences. Stagira, the birthplace of the philosopher Aristotle is a picturesque town full of energy reserves and natural beauty. 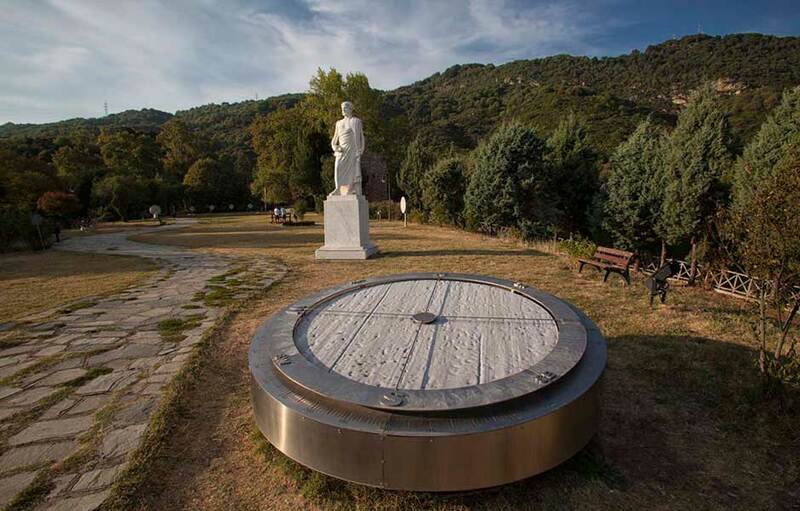 Visit the park where stands proud the statue of the great philosopher, enjoy the panoramic views of bay and see the exhibits that explain the phenomena of nature such as the great philosopher taught. 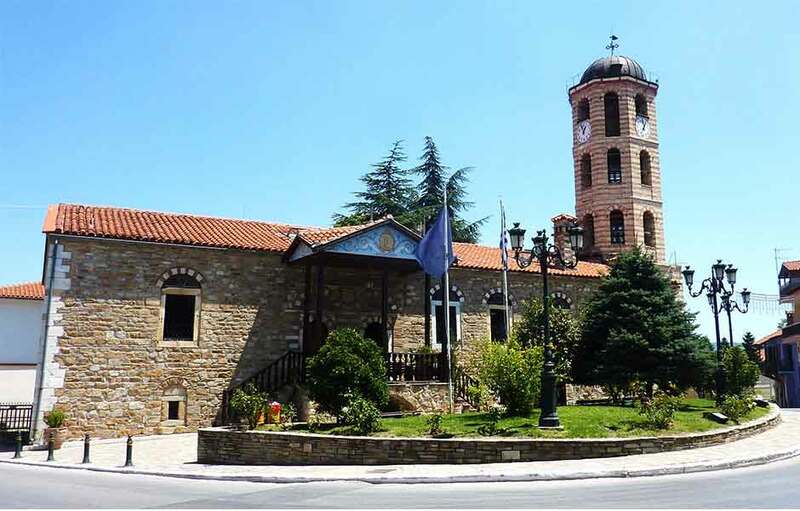 In return, make a stop in the mountainous Arnea to admire the landscape, the Weaving Museum and the traditional architecture of Halkidiki. Just before Plana and 25 km from the village of Ouranoupolis a unique experience that familiarizes you with nature. The farm has turkeys, chickens, lake with ducks and other animals. There you can enjoy your coffee or your meal. The city of Thessaloniki is sure to be charmer and caters to every visitor from anywhere around the world. 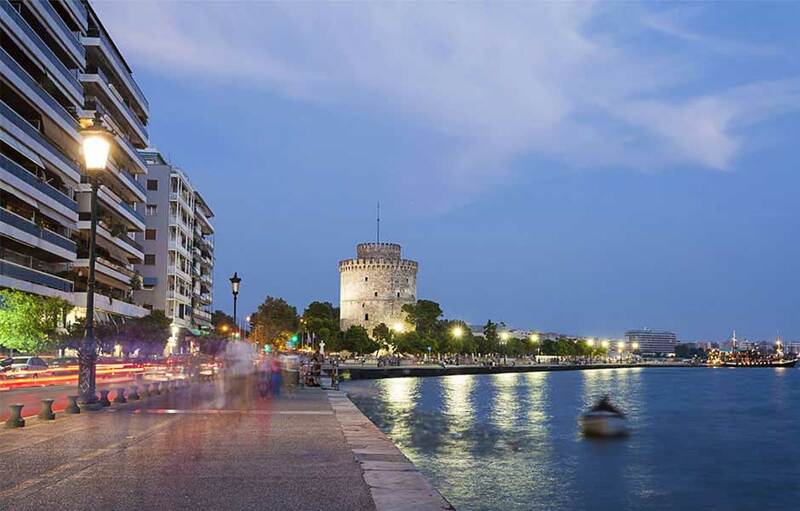 Visit museums and theaters, walk in the old city, unparalleled taste delicacies, walk around the tower of Thessaloniki and shop in the most updated boutique in the streets Tsimiski and Koromila. 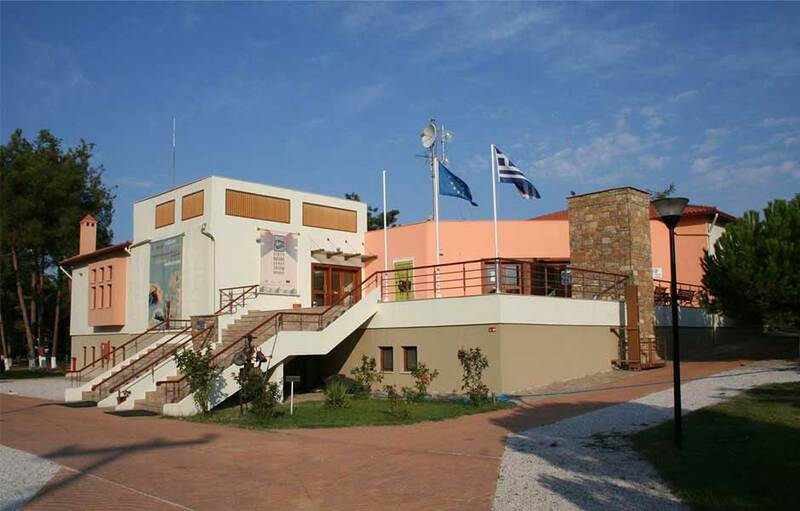 Sochos is a town of the Prefecture of Thessaloniki and is located north of Lake Volvi. 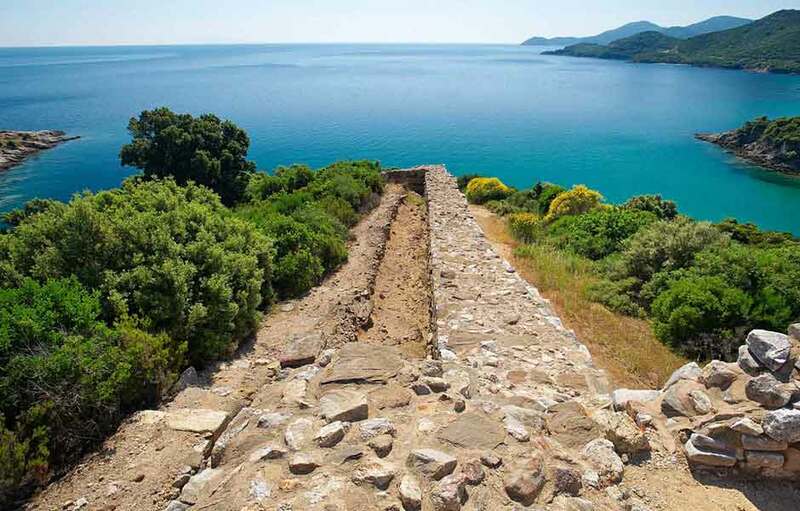 It is built amphitheatrically at the foot of the first hill of Vertiskos Mountains at an altitude of 675 meters. It is 52 km from Thessaloniki and is famous for the ancient “custom of Bells” during the Carnival and the Feast of the 12 Apostles and the three-day celebration (28-29-30 June).. Leaving don’t forget to buy the famous cheese in Macedonia, “Sohos cheese” from the traditional factory. 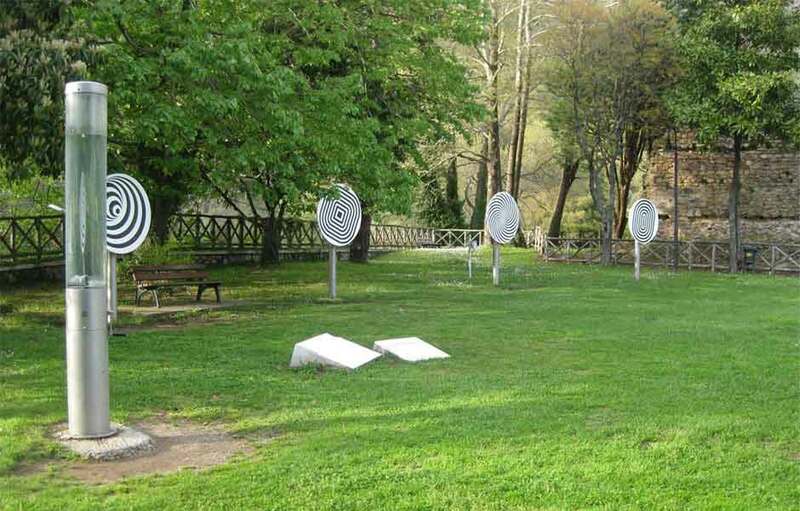 Vergina is a small town in Macedonia, in the prefecture of Imathia, which lies 13 km. Southeast of Veria and 75km from Thessaloniki. 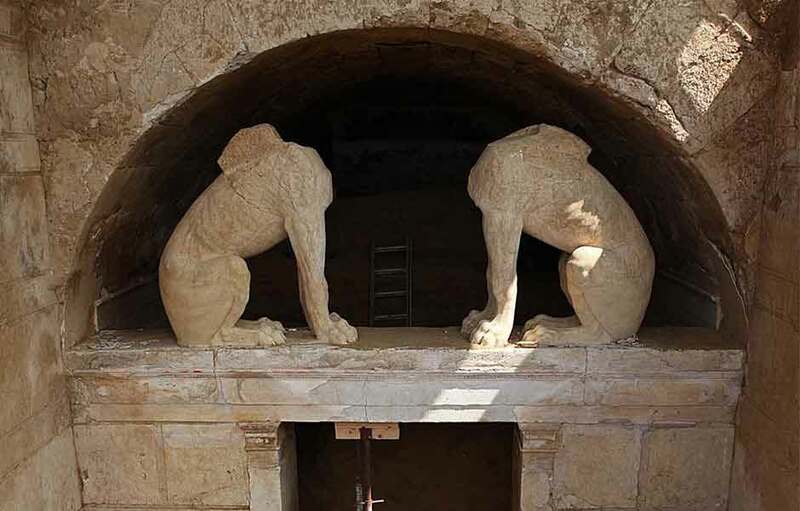 The town is located at the ancient Aigai, the capital of ancient Macedonia, and became world famous in 1977 when the University Excavation of Aristotle University, led by Professor Manolis Andronikos and colleagues archeology, discovered the burial sites of the Macedonian kings and among other tombs and a funerary monument, according to the argument of Andronikos, was King Philip II, father of Alexander the Great. The discovery of these findings certified the ancient city of Aigai, the first capital of the Macedonian kingdom. 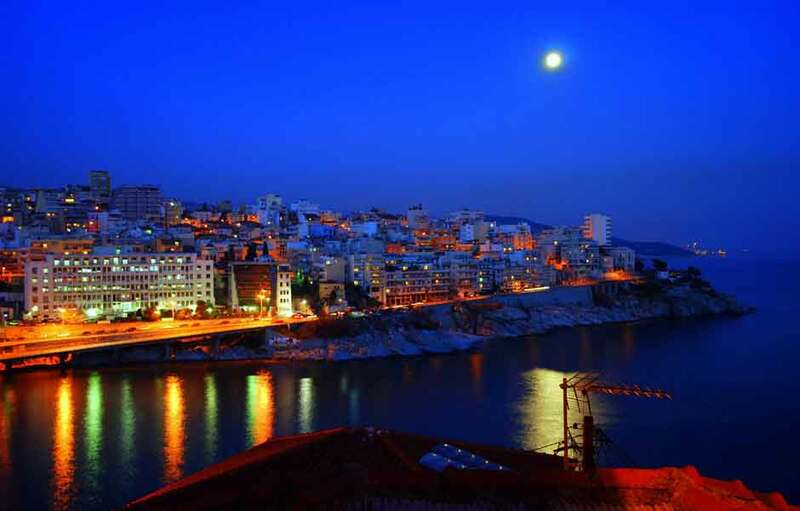 Kavala is one of the most beautiful cities of Macedonia. Surrounded by sea and being famous for the sake of food. 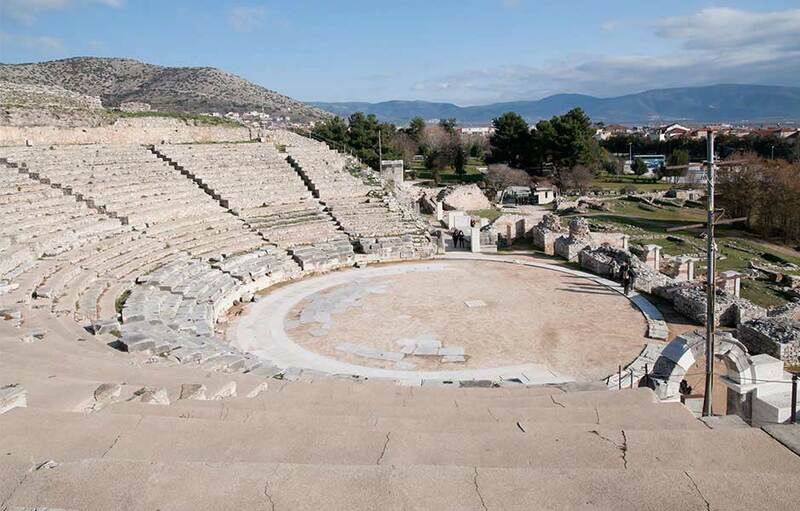 The city of Philippi was founded by Philip II (father of Alexander the Great). 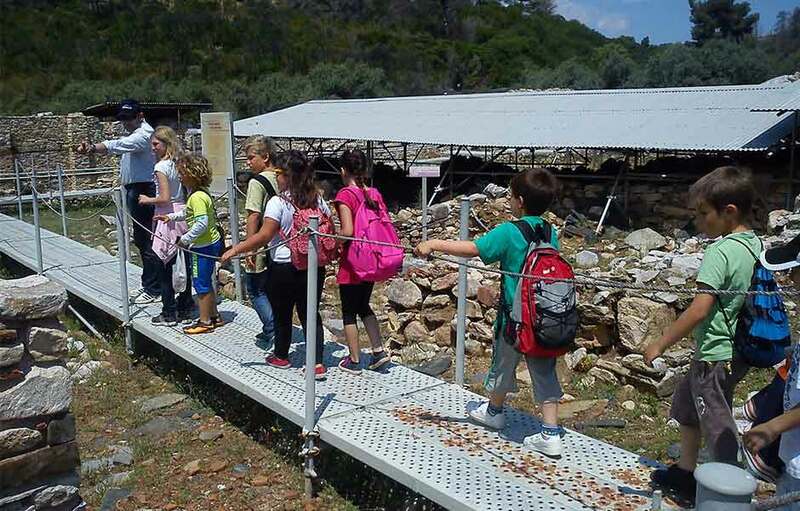 Visit the archaeological museum, the old aqueduct, the Acropolis and the Agora. 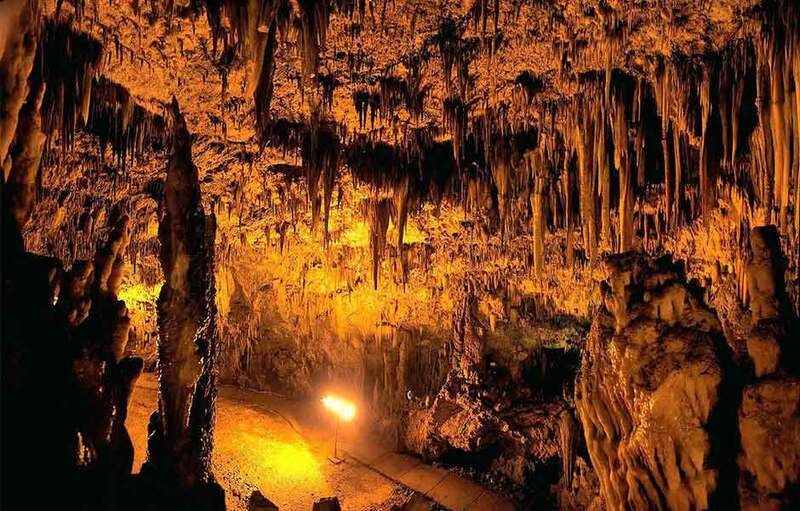 It is a unique and incomparable spectacle crafted by nature itself, with stalactites and stalagmites 2,000,000 years. 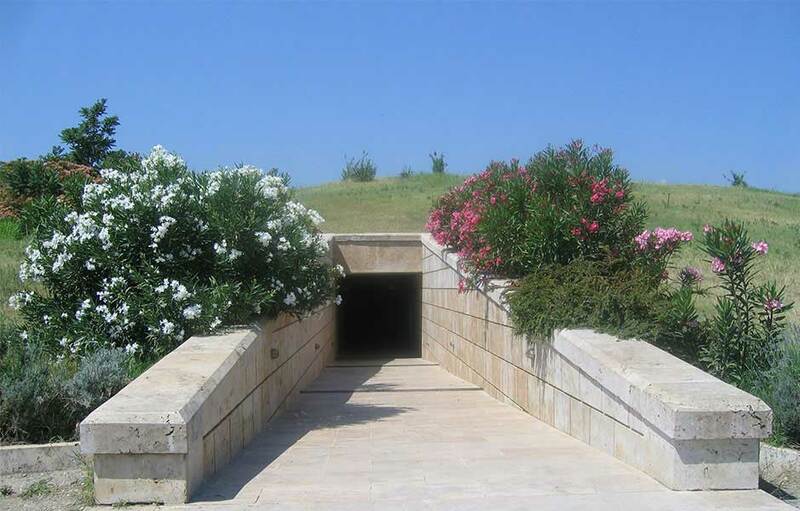 Amphipolis was an ancient city built in eastern Macedonia, on the river Struma. Causes attracts dozens of visitors around the world because of recent archaeological finds and reputation which links them to the tomb of Alexander the Great.